Published in the Journal of Natural History this month, Cambarus loughmani was named after Zachary Loughman. Loughman himself has discovered and named several crayfish in the region. He’s a biology professor at West Liberty University who has been known to convert students into biology majors by teaching about… you guessed it, crawdads. One such student (who also was one of his first students), David Foltz, was the lead author in the research cohort that named Cambarus loughmani. “It is fitting that this crayfish be named in his honor as both he and the crayfish are reclusive, hard to track down, and when faced with adversity, never back down and often advance with arms flailing,” Foltz read from the published explanation that linked Cambarus louphmani to Loughman. 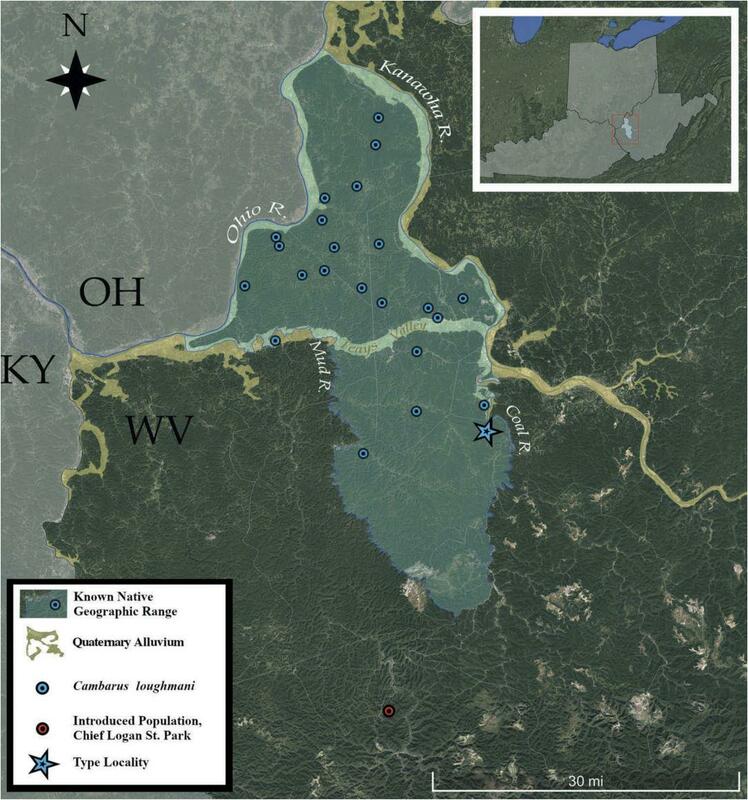 The newly named bright blue crayfish is found in ridgetop seeps throughout the Teays River Valley of Cabell, Kanawha, Lincoln, Mason, and Putnam counties - an area where Loughman actually began studying crayfish as a graduate student at Marshall University in the early 2000s.